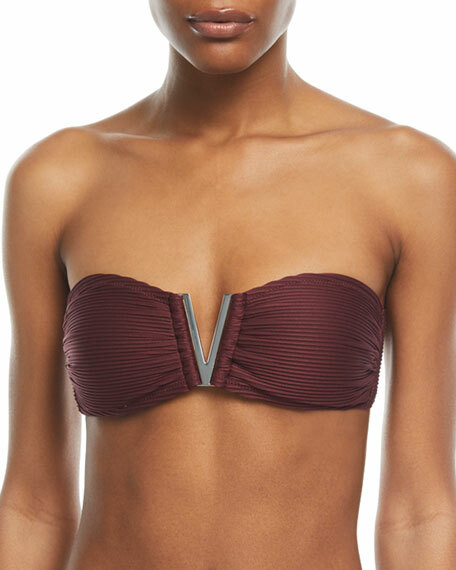 Heidi Klein "Monaco" swim top in pintucked microfiber. Founded by Heidi Gosman and Penny Klein in 2002, heidi klein began as a one-stop holiday shop. Two years later, due to its success, the Notting Hill boutique launched its own collection of swimwear defined by impeccable fit and luxurious fabrics. Its consistently timeless silhouettes that speak to the modern, well-traveled client have earned the label a loyal customer base around the world. For in-store inquiries, use sku #2374519.